Do you know there is a place in Sindh where it snows in winter? Yes, there is one such place and it is called Gorakh Hill. It ‘s located in Dadu District and has an altitude of 5500 ft. It is the highest place in the Kirthar range of hills (reachable by road) which also forms the provincial boundary between Sindh (Dadu) and Balochistan (Khuzdar) as a jagged backbone. The highest peak in Sindh is also located in the Kirthar range and is called ‘dog’s grave’ and has an altitude of 2174 m (7133 ft). 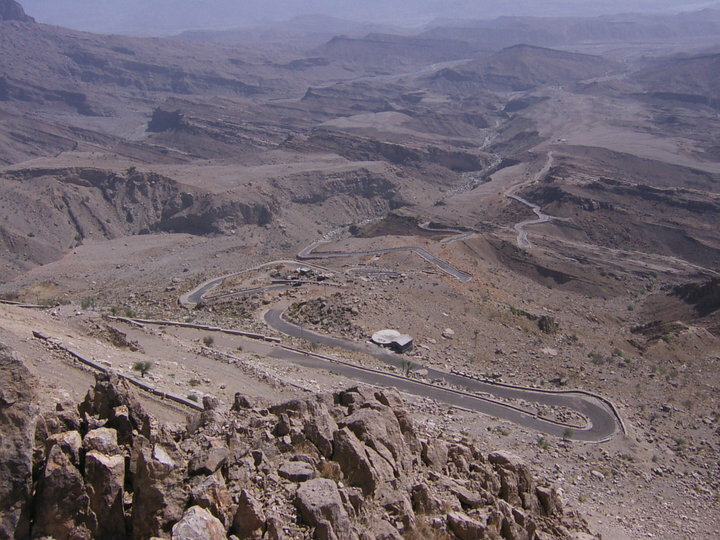 From Dadu city the top of Gorakh Hill is at a distance of 93 km. To reach Gorakh, you starts going west from Dadu. 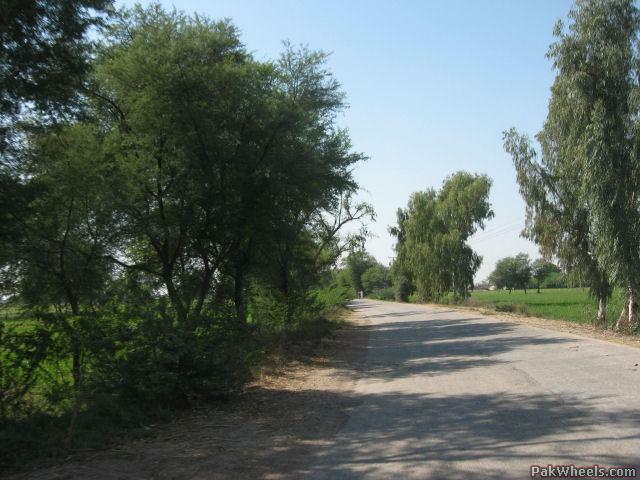 At kilometer marker 17 from Dadu, is a place called Johi. Its is a ‘tehseel’ of Dadu district. Last week, Karachi was sizzling with temperature as high as 45 degree centigrade. To add insult to injury, there was no power and I just wondered how would I doze the summer off. While sweltering in the heat wave, I got a call from a friend, “Gorakh, interested?” “Who wouldn’t, you fool ! !”, I shouted to unleash some steam. “OK. Tomorrow Taj Terminal 3:00 pm” and the line dropped. Though the message was curt, it was music to my ears as I was going to a hill station close to my home to enjoy coolness and tranquility for a day or two. Next day, I packed up some bare essentials and showed up on the dot at Taj Bus Terminal. Tickets had already been purchased by my friend and I got straight to my seat # 30. The terminal was humming with activities as 18 transport companies were operating in the area handling at least 600 busses a day. Our destination, Gorakh Hills, was 395 km away. After leaving the terminal, the bus weaved through the city and crossed a grand three-tier bridge, in clover-leaf design. Soon, the bus stopped at Sohrab Goth. I just shuddered with fear as it was a crime-infested area with plenty of smugglers, drug dealers, kidnappers, hired killers and gun-runners. Police raids were common but not enough to clean it. However, the bus-stop was bustling with cafes and shops and a lot of trade and commerce was in progress. Even the bus was not spared; hawkers were trickling in one after another like a beeline, each offering the best deal in perfumes, balloons, biscuits, medicines and souvenirs. 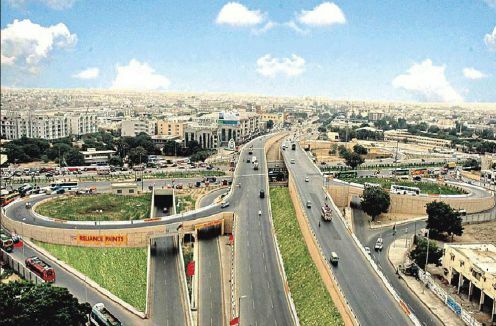 At long last, the bus moved ahead and soon hit the Super-Highway, a four-lane road now being upgraded to six-lane. The bus ride became very pleasant when it passed by the industrial town of Nooriabad. I was delighted to see many factories and mills which were appraised and supervised by me when I was serving with an industrial bank. It was good to see smoke from their chimneys oblivious of the air pollution. The bus briefly stopped at Jamshoro, a desolate hill track turned into a university township. It was a gateway to the Indus Valley famous for its cultural heritage. By now, it was evening, darkness was not far away. The bus was passing through an arid zone with scanty vegetation. Occasional ranges of hills, small water holes surrounded with cypress trees were seen near the road. In a bus, one can freely talk with the next passenger to while away the time. My attention was drawn to a dry brick-lined canal running parallel to the road. It was Right Bank Outfall Drain (RBOD) meant to drain waste water from the other provinces. While heated discussion was going on, we passed by Sehwan, an old town of pre-Islamic period. 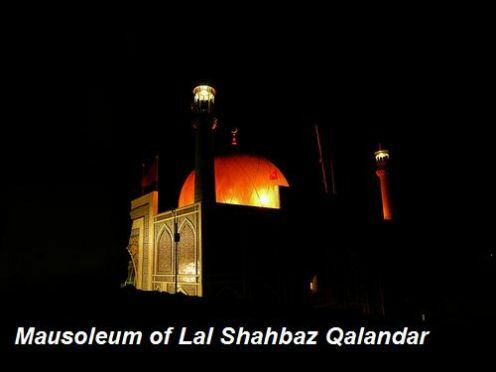 It is famous for the resting place of the great mystic poet, Sufi and scholar Sheikh Usman Marvandvi, popularly known as Lal Shahbaz Qalandar. His mausoleum is visited by thousands of the devotees throughout the year. The devotees dance rhythmically with total abandon to the beat of drums ending in a spiritual trance. We reached Dadu at about 8 pm and spend the night in a government rest house. We started early for the hill station. It was yet 100 km away. At 20th km, we crossed Johi, a small down marking the start of outback area. Next was Wahi Pandi, just a village settled in the lap of Kirther Mountains. Beyond that there was no human settlement save a few stone-huts of nomads chasing the greenery after scanty rainfalls. Surprisingly, Wahi Pandi was a nice village with clean and clear environments. At its outskirts were special type of trees called “Beej”. Besides, a stream was flowing along the village. It presented a good view when we looked back from a place further up in the mountains. The mountains were gradually becoming higher, air turning cooler and landscape converting from barren to greener. A ride in a valley of jagged and rugged mountains was in itself inspiring. The hills were changing colors as we were moving up, some looked similar to the mountain ranges of Utah in the USA. About 14 km further up, we drove through the Yaroo Pass. There were well-marked signs indicating an altitude of 2,500 ft. We had a brief stop at the base of Khanwal Pass, about 76 km away from our start. By now, we were feeling thirsty. Though we had our own water, we were asked to sip the water drawn from the natural spring. It had a naturally refreshing taste that cannot be replicated by bottled water. After some rest, we left the car and clambered into a jeep. We continued upward on a four-km stretch of the pass gaining a height of 5,000 ft. By now we were having the real taste of mountain travel as the ascend became steep and zigzag. Sitting in the front seat I watched the driver, his constant changing gears, his looking left and right for a clue of land-slide or stone dropping, his pushing gas-peddle to the extreme to scale the height. For the past 10 years, the work on the development of the resort was in progress but at a snail pace. Water lines have been laid down, power cables installed and buildings for police force were ready. But there was no water, no electricity and no police presence. Perhaps these were not needed as tourist traffic was negligible. It would take another two years to complete the infrastructure. As we neared the hilltop, the road conditions worsened. A long stretch was still under construction filling the path with rubbles and pebbles. Many a time, the jeep slipped and had to be controlled by the skillful driver. The road had become steep with hairpin turns zigzagging along the hilly terrain. We took a sigh of relief when the plateau was in sight. It was 11:30 am when we reached the plateau. First to greet me was a gush of cool air. I just closed my eyes and breathed deeply to fill my lungs with pure & fresh air. This proved very relaxing: worries were gone, nerves calmed, muscles relaxed and blood pressure dropped. After a few minutes, I opened my eyes and looked around. The views were breathtaking, the clouds were below me and an aroma of wild flowers & shrubs permeated in the air. The top was not flat but big enough from three football fields. It could best be described as a natural rock garden. There were small plants and grasses that add to the scenic beauty.By strolling around, one can spot clumps of almonds, pistachios and wild olives as well as aromatic herbs and weeds. A greater area of the plateau was fenced for protection of the tourists. Along with the fence, there was a footpath made up of colorful stones. By walking over this, we had a beautiful view of a valley below. The area was surrounded by arid mountains with small green pastures at certain points. There were some tourist facilities like look-outs, wash-room and a small rest-house. There are plans to build projects like hotels, restaurants, and a chair lift besides an emergency hospital and security posts. This can also be a great trekking destination. The trekking would be relatively easy as the surface is rocky and gently sloped. Fortunately, our visit coincided with the visit of some bureaucrats and their families. For them, a sumptuous Chinese buffet was being arranged. When we were invited to join them, we considered it a windfall and forgot all joint and muscular pains we were experiencing due to a 395 km travel by jeep, car and bus. We returned by the evening and reached Karachi past midnight. One can go by car to Dadu or take a bus charging Rs.450 per person. The bus is air-conditioned with comfortable seats and takes about five to six hours. One can stay at Dadu. Good air-conditioned room in a hotel is available for Rs.2,000; non-air conditioned Rs.800. Beyond Dadu, one can continue travel with car but the last ten km ( out of total 100 km from Dadu to Gorakh) are only jeep-able. The jeeps can be hired from Dadu City. Depending on jeep condition and time of the year, the rental maybe from Rs.4,000 to Rs.5,000 per trip. If one makes a little effort, one can locate a contractor working for hill station who would willingly take one along and bring back safely. There is rest house and a water tank. But one must be prepared to sleep in own camp or in the open. Similarly, one is advised to bring all food provisions including water. The area is perfectly safe. No dacoity or robbery was reported during the last 10 years. Source: Text Title image 1, Remainig images (top to bottom) image 2, 3, 4, 5, 6, 7. You have done a wonderful job. In spite of growing up in Sindh, I was not aware of this. Will definitely visit this in the coming season during winter, and after that in summer with my family. We need to do more to promote and develop places like these. Thanx Sohail for appreciating our efforts. Ya, I agree with you, we badly need to develop places like Gorakh hills, so that our people have more and more refreshing places to visit, especially in the sweltering heat of the plains. We are doing our bit, as far as possible, and wish that our state / provincial tourism bodies also work seriously in this regard. Unfortunately their role has been more on demonstration of officialdom than a real tourism oriented endeavor on state / provincial level. We can also promote this at social media. Also privately schedule some trips and promote that trips in main cities of sindh specially in Karachi. Families can join those trips. Gou Rakh, Kalyan hoga . There is no doubt about it . You are wecome Bashir to our site. Any time you may feel like visting us, pl do with your pertinent comment if any. is that good to travel in November ? 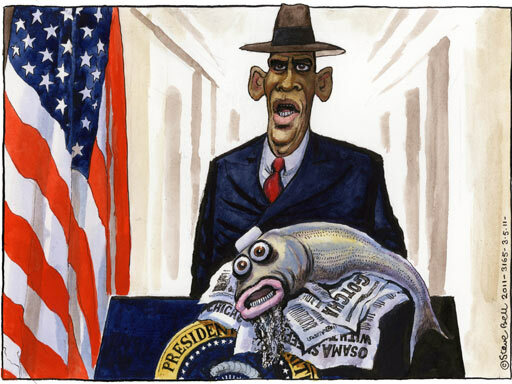 Man O’ man! indeed an amazing place to go to and now have planned to go there around Jan with 15 people. Hope all is safe while going there? I really want to visit in Gorakh hill. I’m a student in Karachi & I have to give a chart presentation. Our teacher told us that your topic should be new for all in our center and I have selected this topic, Gorakh hill. Kindly tell me lots of beauty of Gorakh hill which really exists. And also tell me an easy way for going there from Karachi. I’ll be thankful to you.